Home » Financial Planning » Financial Tips » Personal finance » Financial Fortune-Telling: Will You Be Poor Or Secure? Financial Fortune-Telling: Will You Be Poor Or Secure? Money might not be the single most important thing in this world, but there’s no doubt that financial stability will make your life easier. And you must acknowledge the fact that the decisions made today have a telling impact on tomorrow’s situation. So, are your current financial habits built to promote a brighter future or are they leading you towards an unenviable tomorrow? 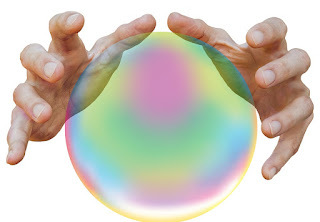 Let’s take a look into the crystal ball to uncover all you need to know. Many people assume that the small daily decisions aren’t overly significant. On the contrary, the habits you develop with regards to spending hold a huge influence on your long-term financial stability. For the sake of your immediate and ongoing situation, getting this right is a must. It doesn’t matter how much money you possess if it goes wasted. On the one hand, life is to be enjoyed. On the other hand, it’s very hard to drop bad habits in later life. Whether it’s using grocery coupons or learning to upcycle isn’t overly important. Finding ways to make your money work harder today will set you up for a far better tomorrow. Essentially, a time will come where income levels fall. If your spending habits are negative, they will inevitably lead you to major struggles during retirement. Most importantly, though, you must have your priorities in good order. Focusing on the wrong things is arguably the worst mistake of all. While the daily lifestyle choices are vital, you must accept that the major aspects will set the tone. As an upshot of this, you must be willing to give those key items the careful consideration they deserve. Otherwise, mistakes in those areas could impact financial health for many years to come. Living situations should be top of the agenda. Whether it’s debating a change of property size or moving to another country, weighing up the pros and cons of all outcomes is key. There’s no doubt that variety of options are greater than ever. Choosing an option that suits your lifestyle both financially and logistically sets the best platform. Major decisions may also come from career choices and relationships. Everyone is on their individual life journey, and you cannot predict every turn. Still, organization and planning will go a long way to keeping you on the right track. When your current situation is stable, it can be very easy to rest on your laurels. However, life has the ability to throw up curveballs when you least expect them. Being prepared for those situations is vital. In fact, it's often the hallmark that separates responsible individuals from irresponsible ones. Studies suggest that up to one in four people would struggle to cope with a single financial disaster. The number that would handle two or three issues is even lower. Knowledge is power, and understanding the impact that a personal injury lawyer can bring following an accident could be a huge safety net. Handling those financial issues gives you one less thing to worry about during those nightmarish episodes. Problems can come from a whole host of sources, including properties and unforeseen career situations. Insurances and other precautions are always worthwhile. It’s the oldest phrase in the book, but it’s better to be safe than sorry. The inflation of living costs is far quicker than the rate of salary increases. Most people will consequently need savings to see them through in later life. Sadly, pensions and basic foundations are unlikely to satisfy the need for long-term comfort. Worse still, saving via traditional bank accounts will bring limited results too. 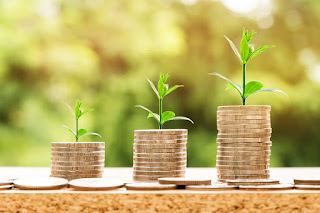 Outside investments can be the key to gaining long-term financial stability and increased wealth. Those external activities do come with risks, which is why every investor must find a suitable opportunity. Nonetheless, achieving this goal today will go a long way to opening the door for long-term financial freedom. Leaving it too late gives you less time to grow your fortune. As long as you take a responsible and mature approach to investing, it could be the defining feature of your financial future. Ignoring that opportunity would be a major lack of judgment. While the information above shouldn’t be taken as gospel, those points are all valid for deciding your financial future. If you want to give yourself the very best chance of avoiding potential failings for a more secure tomorrow, you best start taking note today.